Henrietta is an author who cannot get her stories published. Maybe that’s because she’s a chicken. So Henrietta decides to write her next story under an assumed name and her first book, Chickengarten is published by Holiday House (because they seem like nice people who wouldn’t mind if the author is really a chicken). Henrietta is invited to the Children’s Book Festival. But her problems worsen when she arrives. People scream and the organizers of the event try to capture her and remove her from the building. Luckily for Henrietta, there is a librarian there who loves her new book and rescues her from the crowd. Henrietta sits at the author’s table with her new friend the librarian and signs her books for all her fans. I don’t want to ruin all the fun you’ll have reading the puns in this story, but just know that Henrietta is egg-traordinarily proud to be a chicken (and an author)! 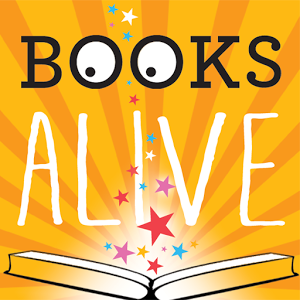 Here are some more fun ideas you can do with your child to extend the reading of this book. #1 Tell chicken jokes… at least try to find out why the chicken crossed the road. 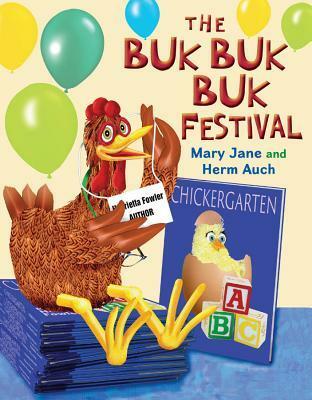 #2 Find more chicken books by Mary Jane and Herm Auch… hint they’re in the library and your local bookstores. 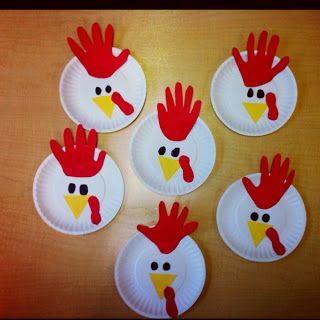 #3 Make a paper plate chicken with a handprint comb. 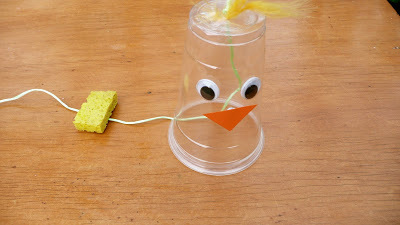 #4 Make a sound cup which actually sounds like Henrietta… buk, buk, buk! #5 Plan a chicken free dinner tonight… please!